Acer is joining forces with VR game studio Starbreeze to develop VR headsets designed for arcades and theme parks. Earlier this year, Starbreeze announced their plans to establish a VR arcade right here in Los Angeles. The planned VR arcade hopes to bring premium VR experiences to the masses in an immersive setting that I am sure will have a line out the door. The arcade project, dubbed StarCade, will all be powered by the company’s own StarVR headset, which Starbreeze has announced they will be collaborating with Acer in the development and marketing of the high-end VR headset for the entertainment market. Starbreeze first launched their StarVR headset and experience at E3 in June 2015. 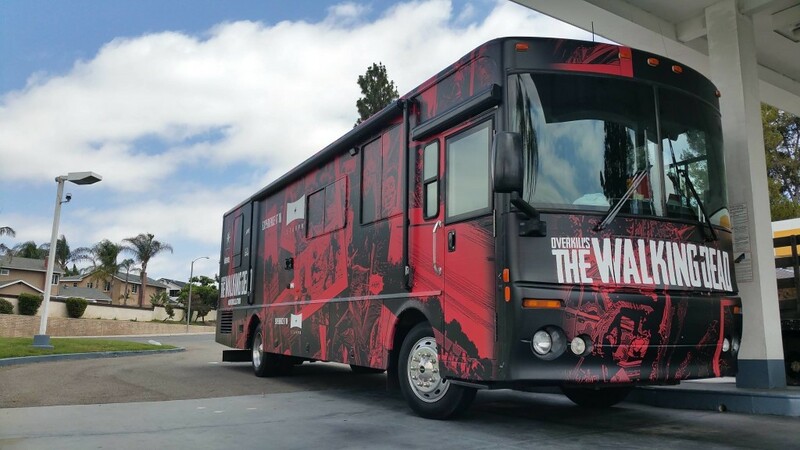 Soon after, they brought the StarVR headset on the road, entertaining thousands of consumers with a Walking Dead VR experience out of a giant RV. We checked it out ourselves at VRLA and some people really got into it (watch video below). The one thing you will notice about the StarVR headset is the wide field of vision. Starbreeze designed the headset to mimic what a person can see in real life, with a 210-degree field-of-view, much wider than the 110-degree field-of-view you may see with an Oculus Rift or HTC Vive. After trying the StarVR headset, we can attest to a much wider field-of-view, but the standout feature also came with optical challenges and weight issues. Often times images weren’t always sharp and the bulkier headset felt much heavier on your face, requiring tighter head adjustment that decreased comfort. But now with Starbreeze bringing Acer on board, a company we know has a great deal of experience when it comes to computing product development, maybe all these challenges will be a thing of the past. Both companies are looking to make VR arcades and theme parks a reality; with StarVR aimed towards the “professional and location-based entertainment market.” With companies like the VOID and Bandai Namco also opening their own versions of VR theme parks, the technology and market is finally looking ripe for us to all get a neighborhood VR arcade soon – can’t wait.